Our monthly succulent club keeps your home, office, or garden full of life. - SUCCULENTS - Two (2) handpicked unique succulents delivered each month from our 2-2.5" mature collection. - VARIETY - No repeats here! 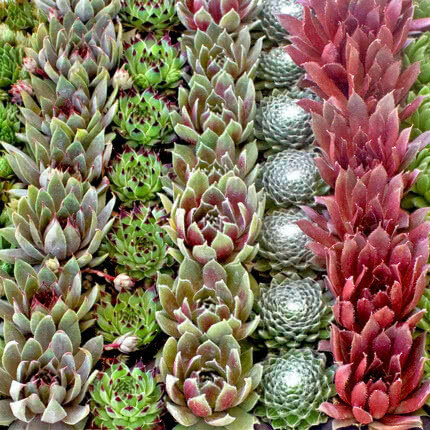 ...over 60 unique succulents available. If variety is the spice of life, then consider your space spiced. - KNOWLEDGE - Each succulent arrives labeled with a plant name and care info. To gain additional instruction on each plant visit our site. - MEMORIES - Living plants will be with you for years to come! - DAILY SMILES - It's a scientific fact that you smile every time you walk by a cute succulent. Can I join this amazing club? - Buying for yourself? You deserve it! - Buying as a gift? Awesome idea! What if I want to cancel or skip a shipment? No problem & no hassle. but if you need to cancel early or skip a month you can. It's simple to do from your account. ***Sending as a gift? Enter their address in shipping at checkout! *** You must sign up by the 31st of the previous month to get a shipment the first week. Example: you join August 2nd, you won't get a shipment until Sept.
We will send you Two 2"-2.5" mature succulents the first week of each month. Thank you for joining our Succulent of the Month Club. Here are some succulents we have sent so far. Stay a member to collect unique plants all year! Not a member, Why not? Receive new plants every month. A beautiful small succulent branching at the base with a cluster of stems that grow to about 8 inches tall with 2 1/2 inch wide rosettes bearing many tightly arranged 1 inch long green deltoid shaped leaves with fine hairs along the margins. The older rosettes sit atop slender bare stems while younger ones have leaves the length of the stems. The leaves turn red in the sun with colder temperatures in winter but are green in summer or when grown in shade. Pachyveria ‘Claire’ forms rosettes of tapered bluish leaves that blush rose at the tips and along the margin. Possibly an Echeveria pulidonis hybrid. Racemes of small yellow bell-shaped flowers flared at the tips. Great for windowsills or rock gardens. Porous soil with adequate drainage. Bright light with ample airflow. Water thoroughly when soil is dry to the touch. Protect from frost. The jelly bean plant, also called pork and beans, is an interesting succulent plant that displays jelly beanlike leaves. In the summertime its leaves change from green to bright red, and it bears yellow flowers in the springtime. This colorful succulent does best in hot, sunny apartment balcony gardens and will look best as a “ground cover” in plant containers underneath tall plants with a small footprint, such as a jade plant pruned to look like a tree. Anacampseros growing subshrub succulent of the genus Anacampseros, Anacampseros perennial evergreen used as ornamental drought tolerant plant, can grow in mediterranean, subtropics climate or as houseplant. Leaves color green, purple, red or can be more than on color, shape can be round, linear, wedge or lanceolate, on some species grow hair. An Ed Hummel hybrid named for his wife, " Minnie Belle" is a small rosette with attractive spikes of bell-shaped vermilion flowers. Excellent for windowsill culture, dish gardens, and rock gardens. Porous soil with adequate drainage. The Succulent Plant Graptosedum California Sunset. A succulent plant that boasts beautiful coloring resembling the shades of the sky on a perfect California Sunset. What a wonderful way to have your own California Sunset everyday. Flaunt your color-contrast creativity with the unique coppery-orange-gold foliage of this exciting, EASY to grow succulent. Compact, trailing & ground-covering “Coppertone Stonecrop” grows to only 8” tall, but spreads densely to 2’-3’ across, making it a great choice for a filler or front of bed edger, especially when combined with other colorful trailers like ruby leaved Sedum ‘Voodoo’. Pachyveria glauca 'Little Jewel' is an intergeneric cross between Pachyphytum and Echeveria, with rolled pointed foliage of the former and forming the tight rosettes of the latter, in a beautiful shade of dusky blue gray, with red and wine tints. Foliage stays under 6" tall. Echeveria ‘Chroma’ is a hybrid created in California. New Echeveria with great potential due to it’s exciting color and form. Looks best during the winter months. The rosette is up to 3 inches (7.5 cm) in diameter. The shiny, fleshy leaves are beautiful deep rose to maroon in color. Tiger's Jaw lives up to its common name. The sharp spines that edge the pairs of speckled leaves look like the teeth of a ferocious tiger. Their low-growing habit and unusual leaves make a spectacular addition to a succulent dish garden. This succulent has small plump petals that can range in a variety of hues. Most come with green leaves that turn into a pinkish color towards their tip or rim. These are hardy plants that like porous soil with good drainage, and enjoy limited direct sun. I particularly like this Echeveria when it has been stressed and becomes a deep orange color. Graptoveria Bashful will be great in a container or garden setting. Sunset zones 8 and 12 -24. Water when soil is dry. Echeveria ‘Lime n Chile’, forms concentric rosettes of chunky lime green, slightly translucent leaves that often are blushed reddish at tips. Offsets prolifically to form attractive clusters. Flowers are larger than some Echeverias, and are a bright tangerine, with darker orange outer petals and much visited by hummingbirds for their nourishing nectar. Graptoveria 'Moonglow' forms low rosettes of pale, milky aqua with star-shaped golden flowers complete with burnished amber tips and speckles. Echeveria derenbergii (Painted Lady) - This succulent creates small rosettes (3 inches across) of triangular-shaped leaves that are green with red margins. Yellow flowers with red tips bloom on stalks in the spring. It will spread to about 3 feet. It does its best in full sun, with low water requirements. It is hardy to about 15 to 20 degrees F.
A beautiful, hybrid succulent with powdery, silvery-blue leaves that blush violet in strong light or cold temperatures. Plants have semi decumbent stems terminating in rosettes. It forms arching raceme of small, bell-shaped, apricot flowers during summer months. Great for cascading in rock gardens or as hanging basket. Senecio haworthii (Woolly Senecio) A perennial succulent dwarf shrub to under 1 foot tall with stunningly attractive upright cylindrical succulent leaves that are pure white due to the fine white hairs covering all surfaces of the leaves. This plant is known to produce bright yellow flowers on a short terminal inflorescence but we have never seen this species flower in cultivation. This native to Madagascar species from the kalanchoe genus makes a nice addition to any succulent plant collection, grown indoors. The panda plant being a succulent type species grows thick leaves for water storage purposes, which means watering less often for the grower. These leaves are covered in tiny hairs that give the plant a velvety look and feel. Kalanchoe tomentosa 'Chocolate Soldier' (Chocolate Soldier Panda Plant) - An interesting and attractive small slow growing succulent subshrub that grows to about 2 feet tall with narrow slightly concave and elliptical succulent pale brownish green leaves that are covered in tiny hairs, giving the plant a velvety look and feel. Along the upper leaf margin and tip is a raised slightly toothed rim that is reddish on new leaves and matures to a rusty brown color, giving this plant a very unusual two toned appearance. Every summer in my garden, the Echeveria cristata 'Woolly Rose' (a.k.a. Echeveria 'Doris Taylor') sends out colorful flowers that look like candies. The rosette foliage of this plant is covered evenly with a thick mat of trichomes that gives it a velvety appearance - thus the name Woolly Rose. Not only the plant is beautiful but it is also a source of nectar for the hummingbirds (Fig. 2). Whenever my plants bloom, I move the ones that are in pots to a place where we can enjoy the view from the kitchen window. The leaves are fuzzy, wedge-shaped and plump, with lovely crinkles at the end. The crinkled edges turn slightly red when it's getting enough light. A. cristatus grows bright red, adventitious roots along the stems. It likes bright light, but too much sun and heat will cause it to bleach and wrinkle in a very sad manner. Crassula ovata 'Hobbit' - Hobbit Jade: Shrubby succulent with deep green leaves that are curled back or spoon shaped. Often confused with 'Gollum' although this is an earlier Jade cultivar. It is a monstrose or mutated form of the common crassulaceae Jade. Trunk becomes thick with age and forms interesting stem shapes. Good for containters and bonsai cultivation. Description: Slow growing pretty hybrid up to 15 cm tall, good as ground cover or in hanging basket. Blooming season: The primary flowering time is winter to early spring. However, this hybrid flowers, though less profusely, much of the year, or at least throughout much of winter, all spring, and most of the summer. Plants will flower at a small size and should flower each year. String of Buttons: Attractive plant, similar to Socialis (Ring Plant) but with smaller and tighter leaves. The leaves are pale green in color with bright rosy pink edges. The leaves grow in a spiral around the stem. Can get to 10 inches if left to grow and will form small colonies. Tender soft succulent - will not tolerate frost. Crassula 'Tom Thumb' is a charming miniature plant with tiny triangular leaves in opposing ranks on stems. The tiny mint green leaves have colorful reddish edges especially in bright light. It is topped by clusters of tiny white flowers in spring. Leaves appear approximately as a Green-yellow and Radical Red. Compact mini jade grows as a perennial and is a flowering houseplant / succulent. Being a perennial plant, it tends to grow best over several years (approx 3 years and greater). Normally grows to a mature height of 1.51 metres (that's 4.92 feet imperial). A beautiful rosette-forming succulent that has interestingly colored acuminate leaves that are a pale grayish brown with pink highlights and have a white powdery dusting, sometimes referred to as pruinose. The leaves overlap nicely in 5 to 6 inch wide solitary rosettes that eventually grow up on a slender stem. The flowers, which appear in summer on 1 foot long reddish-stemmed inflorescences, are a corral pink color on the exterior with a yellow interior. (Black Hens and Chicks) - This succulent plant produces clumps of short rosettes up to 3 inches wide with thin dark triangular, blackish leaves. These leaves first emerge greenish but darken to a deep lavender brown and with age the lower leaves widen out to as much as 1 inch at the base with an acuminate tip that has fine yellow edges. In late fall to early winter appear the dark red flowers on short stalks. Echeveria 'Ramillete' is a hybrid Echeveria that forms rosettes of fleshy frosty green leaves with red tips and tangerine bell-shaped flowers. This succulent adds a bright, cheery appearance to the floral bouquet. Excellent for dish gardens and in rock gardens. In habitat, many Echeverias grow on rocky outcroppings at higher altitudes. Lola is a variety of Echeveria Leisel which is a member of the Echeveria family. Its botanical name is Echeveria 'Lola'. An evergreen, so it will retain its leaves throughout the year. Lola is known for growing to a height of approximately 5.85 inches. It is a succulent / ornamental that typically grows as a perennial, which is defined as a plant that matures and completes its lifecycle over the course of three years or more. This variety tends to bloom in early spring. Echeveria runyonii 'Topsy Turvy' - A fast growing rosette-forming succulent with pale blue-gray leaves that curve upwards and are strongly inversely-keeled on the lower surface with leaf tips pointing inwards towards the center of the plant. This interesting Echeveria has become a common sight in Southern California succulent collections, likely because it offsets profusely and plantings quickly become mounds with individual rosettes to nearly 1 foot across. Bright orange and yellow flowers rise above the foliage on tall arching inflorescence, usually in late summer or fall. A sprawling, slow growing succulent shrub with attractive reddish-brown stems and variegated cream and green ¾ inch long leaves. A very easy to grow succulent that works as a great bonsai plant, hanging basket or even a hedge in frost free climates. The green form will slowly reach 12 feet in height with an equal spread but the variegated form is slower growing and will likely remain considerably smaller and in containers even more so. Echeveria peacockii is a fast growing succulent plant with rosettes up to 6 inches (15 cm) in diameter, of iridescent silver-blue leaves that can become tipped in red. The long-lasting flowers are pink-orange on slender stalks up to 10 inches (25 cm) long, in early summer. It will form new rosettes to become a nice-sized clump after time. A succulent plant with blue-green leaves that form a large rosette shape. This echeveria differs from others in that its leaves have a ruffle-like look that is unique. Sedum adolphii, native to Mexico, forms rambling stems with waxy golden yellow leaves with pinkish-peach margins in bright light. Star-shaped white flowers. Excellent color accent in rock gardens and dish gardens. Porous soil with adequate drainage. A succulent shrublet up to 12 inches (30 cm) high (40 inches / 1 m, including the flower stems), densely branched, covered with hairs. The leaves are oblong-elliptic or almost cylindrical, yellow-green, sometimes the tips being reddish, up to 2 inches (5 cm) long, with 1-3 apical teeth. More numerous small teeth may be apparent at first, but these seem to disappear as the leaf matures. The flowers are orange-red to almost yellow in color. Watch Chainis a small succulent with tiny light green leaves, densely packed around the thin stem, forming a square mass. It grows as an intricate bush up to 12 inches (30 cm) tall. The flowers are little and yellow-green. Echeveria 'Mazarine', form attractive rosettes of bright cornflower blue leaves. 'Mazarine' offsets freely to form attractive clusters than can be planted in the garden in temperate climates. Hummingbirds are attracted to sprays of orange flowers that provide nourishing nectar. Echeveria azulita stands for "Little blue one" in Spanish. It has little rosettes that are 2" in diameter. It forms beautiful little clusters. When they bloom they form bright orange flowers. Echeveria ‘Dondo’ is a compact clumping succulent plant with tight up to 4 inches (10 cm) wide rosettes of gray-green colored leaves that are broadest near the leaf tip. This tip has a small soft spine and is sometimes blushed red. Small dark yellow to slightly orange bell-shaped flowers rise above the foliage on several stalks from the center of the rosette in late winter into spring. An attractive and durable succulent plant that produces clusters of tight rosettes 4 to 6 inches wide by 6 to 8 inches tall with thick smooth, upright-held pale blue-green leaves with a hint of pink tones on the leave tips and margins when grown in bright light. Mostly green with just a creamy edge? Mostly cream with a central band of green that's almost completely submerged? All green? All cream? Each leaf finds its own solution; the plant is the libertarian of succulents. Only the all-green leaves are to be discouraged. They have so much more chlorophyll that they can outgrow the more colorful growth. The albino growth is the most precious. With no chlorophyll at all, it grows only with energy shared by its greener neighbors. Quickly forms plush hanging baskets. Thrives in a bright room or with morning sun on a patio in temperate areas. Senecio radicans glauca, native to South Africa, is commonly known as the “String of Bananas”. Member of Compositae, or the Aster family. Stems have curious emerald green banana-shaped leaves with fascinating translucent “windows”. Flowers are like pom-poms of many tiny white flowers and are fragrant. Echeveria 'Haageana', considered to be a hybrid of Echeveria harmsii, forms frosty green rosettes that cluster quickly. Bell-shaped orange flowers loved by hummingbirds. Requires excellent drainage. Bright light for best appearnce. Water thorough when soil is dry to the touch. Protect from frost. Sedum treleasei is a succulent plant with pale blue-green, thick and fleshy leaves up to 1.5 inches long, somewhat flattened on top and rounded below. Older leaves often take on a yellow tinge at the tips and margins, and sometimes there is a flush of pink on the leaf tips. Plants develop stems which may reach up to 1 foot in height, and they branch to form a good-sized clump in time. Flowering commences at the end of February or in early March, and extends into April. Echeveria 'Cris' has chubby lime green leaves that form a super tight rosette shape. The tips of this plant's leaves are pinkish-red, giving it the perfect little hint of color. This modest-size succulent makes dense clumps to 1 foot high and 2 feet wide, with short stems bearing narrow leaves to 8 inches in length. These bright green, white-spotted leaves, populated with tiny, soft white teeth along the margins, arch upward and then out at the tapered tip. Also called rosary string of beads or string of pearls plant, this creeping succulent is an odd looking plant that many people enjoy adding to their indoor gardens. Though the flowers may seem small and unattractive to some people, if they’re even lucky enough to get them, others find the faint white blooms (which smell a bit like cinnamon) quite welcome. Still, it’s the thin thread-like stems and fleshy round, bead-like leaves that make this unusual houseplant a great addition to the home. Sedeveria are hybrids of sedum and echeveria. They are succulent, and therefore drought-tolerant once established, and very suitable for rock-gardens. Most varieties will tolerate some shade. In Winter the lower leaves are shed, and should be removed so that fungus isn't harboured. 'Lilac Mist' is a Sedum x Echeveria hybrid which grows in clumps to 30cm wide and 20cm tall. This succulent is a hybrid between a Graptopetalum and Echeveria. It has striking grey-green coloured, fleshy spoon-shaped leaves growing in a rosette on a stem. It is a popular groundcover plant in rockeries and water-wise gardens. Sedeveria ‘Jet Beads’ is a distinctive hybrid of Sedum and Echeveria, with dark bronze tinted green foliage surrounding short sprawling stems, up to 4 inches (10 cm) tall. The pointy tipped leaves are arranged along stems like a string of beads and take on a near black tone in cooler weather, giving this plant its cultivar name. It has yellow flowers in summer months. Adorable trailing succulent with colorful, heart shaped leaves in shades of rose, pink, cream and green. Adds great color to hanging baskets or containers, on porch, patio or indoors. Tuck in to spill over rock walls or path edges. Effective as a ground cover in waterwise gardens. Echeveria ‘Irish Mint’, forms rosettes of mint green, upswept tubular leaves. Profuse bouquets of larger golden orange flowers. In habitat, many Echeverias grow on rocky out croppings at higher altitudes. In this habitat, the water drains quickly away from the roots of the plant, never allowing the plant to remain waterlogged, thereby reducing the possibility of root loss and root disease. For this reason, it is essential in cultivation to use a very porous soil, which will allow quick drainage. Succulent plant, Sedeveria 'Blue Elf' is a Hybrid. This super cute succulent is a breed between Sedum and Echeveria. This plant grows rambling, clustering leaves. The 'Blue Elf' is a perfect addition to any arrangement or as the center piece to any container garden. The Echeveria Minima is native to Mexico. It forms small tight clusters, and has small orange bell shaped flowers in the spring. This plant is a blue/green in coloring. While it is never truly blue blue, it does take on bluer tones during different seasons. Cremnosedum 'Little Gem' or 'Little Gem Stonecrop': Dense clumps of bronze green rosettes turn red in full sun. Star shaped yellow blooms. Miniature ground cover. Adds interest to container plantings. Nice house plant. Full sun to part shade. Crassula arborescens subsp. undulatifolia is a succulent shrub, up to 3 feet (90 cm) tall, with elliptic, bluish-grey, twisted and erect purple edged leaves. It has very stout succulent branches and a natural bonsai-like aspect with compact rounded heads of whitish star-like flowers. This plant eventually grows to 4′ long which will take around 6 years or so. As it grows it gets very thick with those trailing stems heavily laden with overlapping plump, juicy leaves which form a groovy braided pattern. As you can imagine, a mature plant gets very heavy. This plant is not for a flimsy pot with a flimsy hanger. It’s best grown in a hanging basket, in a large pot like mine, in a pot that hangs against a wall or trailing out of a rock garden. Anacampseros telephiastrum variegata, sometimes known as 'Sunrise', forms clusters of very succulent rosettes. The intense rose, lime, and emerald green colors of the leaves give the impression of glittering jewels. Leaves are violet pink on undersides. Large pink flowers appear in afternoon in summer. Striking succulent forms dark, nearly black rosettes. Salmon-red flowers in autumn and winter attract hummingbirds. Dramatic foliage adds wonderful contrast to succulent plantings and rock gardens. Well-suited to containers, both indoors and out. Evergreen. Haworthias are dainty succulent plants which are frequently compared to Aloes, this is hardly surprising since they are both members of the Asphodeloideae family. Haworthias are almost always small and very (very) slow growing plants but tend to look brilliant in unusual containers or interesting soil mixes. As a result they can make fantastic easy care gifts and presents for people, suiting either a home or office desk environment.